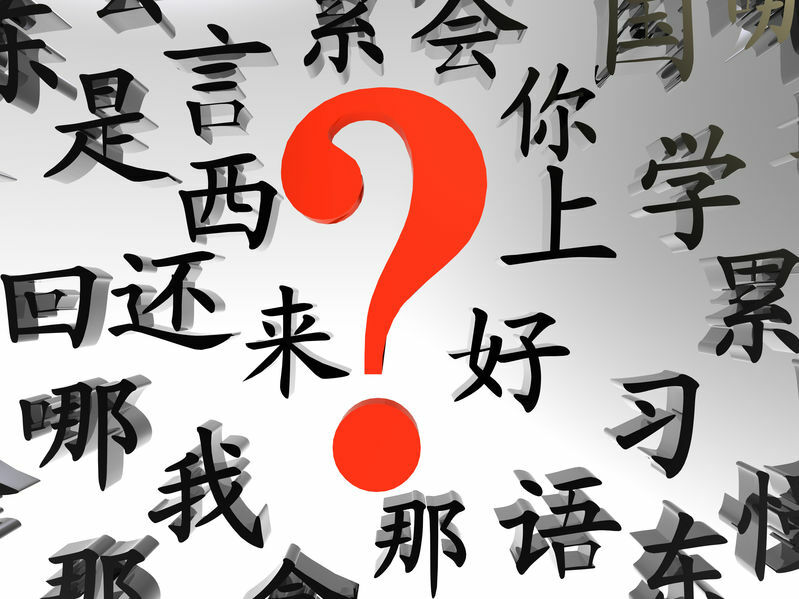 It's often said that learning Chinese (Mandarin) is very difficult. When considering the truth or otherwise of that virtual cliché, the reality is that learning ANY foreign language presents all sorts of challenges – particularly when at that stage of learning (and it is a long stage) where you are relying on memory, when language ability is not yet at that level which can reasonably be described as 'fluent' and there is no practical opportunity for immersion. On the one hand, Mandarin is not alphabet based so you are required to recall individual characters and the meaning of combinations of these characters but on the balancing side, one is not faced with the task of trying to remember verb conjugations and gender as in French. The character combinations in Mandarin do in fact, on occasion, allow you to guess at meaning (where such a guess would be impossible in other languages) because these are essentially descriptions. An aeroplane is literally a "fly-machine". Having worked my way through the Intermediate Level A text of the Mandarin Express programme designed by Zhang Xue Hong (MSL Master), I occasionally wonder why it seems to be that learning at the beginning is easier and that the language seemingly gets harder. Looking back at the previous books in this programme, this 'difficulty' is largely an illusion in the sense that character complexity is more or less the same and in fact learning new characters which are formed by "sound loans" or a different combination of the same repeating sub-parts should in fact mean it is easier to guess at possible pronunciation. Pronunciation leads to the other challenge of recalling the tones and where, as with all languages, there are exceptions. The only good news here is that if you do pronounce a character with the wrong tone, then context provided by the sentence pretty much allows a listener to guess at your meaning. Hence communication is not hindered and with time, one hopes that these mistakes will be self-corrected. Since I am not studying in an immersive environment, the most that can be done to compensate for this is to (a) re-read the previous parts of the course on a regular basis and (b) try to listen to the news even if it sounds like gibberish with sub-titles. As regards re-reading the textbook, I find that having already mastered that portion of the vocabulary, there is more of a chance to now notice the way expressions are constructed. Rather than trying to memorize sentence construction, I'm rather hoping for gradual assimilation by 'osmosis' after multiple readings – the way things would work in immersive learning. As for listening to the news, I find greater understanding reading the subtitles but following the verbal barrage of different newscasters with differing delivery speeds and accents remains an obstacle. In this respect, English is no different in that when spoken by a foreigner or person with a heavy accent, there is first a need to realize that they're speaking English (not some dialect) and then to 'tune-in'. Clearly I have not yet reached the stage where I can easily 'tune-in' but that is the point of moving on to the next part of the Mandarin Express course (Intermediate Level B). No doubt it will contain an eclectic mix of topics and I already find (at Intermediate A) that it requires more time for me to work on written answers as required by the text book. This writing though is a reinforcement of what was learnt before and one strategy going forward would be to randomly open up the vocabulary summary of different prior text books and to deliberately use words in those sections in the formation of written answers. Hopefully that will take me a step closer to fluency and "Fluency" by my definition will be measured by the ability to easily understand the news and to comprehend something said even when listening in mid-conversation with no prior context given for the topic of conversation. It will NOT mean that I understand ancient Chinese poetry or abstract philosophical text!